We’re bringing Developer Spotlights back! 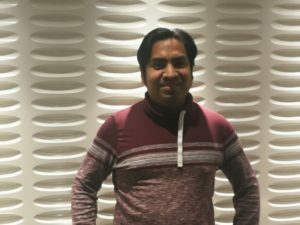 In this month’s developer spotlight, we interviewed Sinuhe Tellez Rivera, a Back-End Developer who recently got hired at Mindgeek from our HackerX Montreal event back in July. Tellez: At the beginning, it’s normal to feel a little stressed because the format of HackerX is different. But after 2 companies, you start to relax, and by the 4th company, you find yourself actually enjoying it. It was still interesting to talk to people from companies about jobs that sometimes don’t suit you 100% but its still really interesting to hear about. My advice to others is: Invite your friends to HackerX, you never know when your friend could leave a positive reference to an employer. And a second tip- talk with the people around you while you are waiting in line to talk to companies. They are awesome developers and at the end they also have something interesting to share. Tellez: I was expecting to listen from companies about what they do in general. HackerX: What was your main objectives of attending HackerX and did you achieve it? Tellez: I went to network and get contacts, so I can send my CV out to places, but instead, I met my future team there. Tellez: It’s like the analogic tinder, for job hunting. 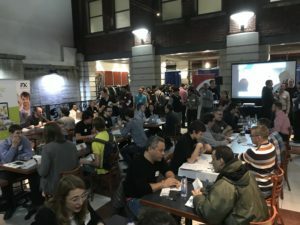 HackerX: How did you feel, during the event, what did you learn from it, and how is it relevant to to your job search/ career, life in general? Tellez: I learned that you should not be shy and put yourself out there. Even if a company is looking for another kind of programmer, if you say what you’re looking for, you never know, maybe the hiring person knows someone who is looking for a programmer like you. HackerX: Would you recommend HackerX to others, and what tips and advice would you give future attendees? Tellez: Stop and think about what your expectations and goals are from the event and prepare to have fun meeting interesting people. Tellez is versed in C/C++, python, golang. You may also check him out on LinkedIn.